We are proud of the three long-standing in-house programs that we service and support financially with funds raised from our May Court Nearly New Shop, fundraising events, and with the generosity of sponsorships and donors. 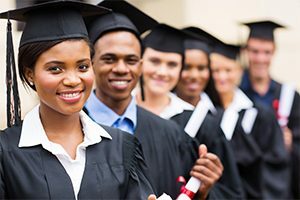 For over 40 years, we have been financially supporting Oakville youth with their post-secondary education dreams. The criteria for students to be eligible includes having a more than average financial need, and demonstrating a commitment to the community at large, or the school environment through volunteerism. All Oakville High Schools participate. Students apply for a scholarship through their high school Guidance Counsellor. Past recipients are also eligible to apply for scholarships throughout their entire post-secondary education. Typically, the financial needs do not disappear after the first year, and neither do we! That makes our program unique. Over the years, over $800,000.00 in scholarships were granted! First Time Applicants – Please contact your school Guidance Counsellor for an application. We’re always looking for sponsorships and donors for our Scholarship Program. The most difficult part of this program is not being able to help everyone! We would like to thank the following businesses and families for their support with dedicated scholarship grants. “We have had the pleasure to meet some of the recipients and I have always been impressed with their accomplishments despite any obstacles they may have. They are determined to fulfil their educational dream & be an inspirational role model for their fellow students. We are thrilled to support young students that see a future filled with learning, joy, and hope! 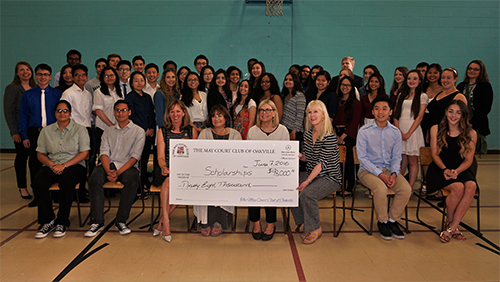 “I just wanted to thank everyone in The May Court Club of Oakville for supporting students who are in need. It’s people like you who keep us going, make us feel that we are doing it right, and let us know that there are always people who are willing to support us. 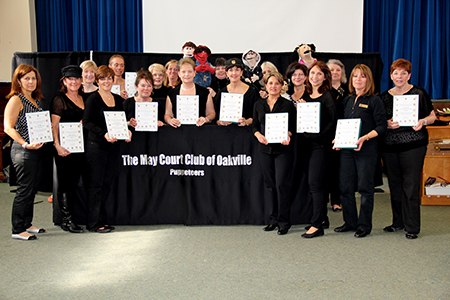 Our Puppeteers have been educating elementary students in the Oakville/Burlington area for over 30 years. Topics range from street safety to bullying. Our current show “What Would You Do?” arms students with strategies to deal with many types of bullying, including one of the most troubling forms of bullying : cyber bullying. This show has received interest from The Family Channel and City TV News Toronto, as well as acknowledgement from the House of Commons. Our FREE program reaches 2000 plus students each year. November 27, 2013 – Our Puppet Show was featured in OAKVILLE.COM – read about our celebrated puppet show and view photos of our puppeteers and puppets – Click here. Thank You to our Puppeteer Program Sponsor! Our Lunch Box Program has been in operation since 1989, one of the first of its kind. Over the years, we worked our way to delivering nutritious snacks to over 44 schools in Oakville and Burlington. 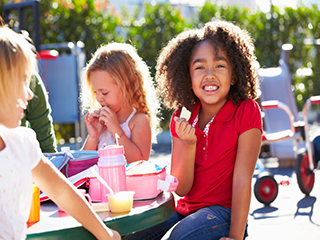 In 2015, May Court initiated an Ad Hoc Committee to research the needs of schools today, and to learn where duplication of other nutritional programs occurred. For the first time, a round table of nutritional program leaders along with the Halton School Board and Oakville Community Foundation came together. The meeting was welcomed and enlightening. Decisions and new relationships were formed. All programs benefited in serving the needs of our students, without duplication or waste. For May Court, we moved toward continuing to service only the schools that were being under-served (approx. 20 schools). May Court will continue to develop other programs where students are being under-served nutritionally. May Court loves to build relationships with other community organizations looking for volunteers to help them run their day to day operations. 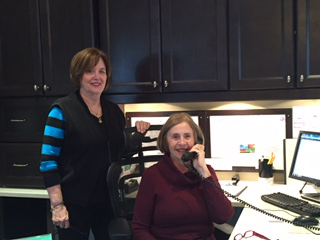 Wellspring Birmingham Gilgan House: May Court Club volunteers serve in a variety of roles at Birmingham Gilgan House, such as answering phones, pick up and drive Wellspring clients to their appointments, and more. This “home-like” location for clients with Cancer is a warm & happy place. 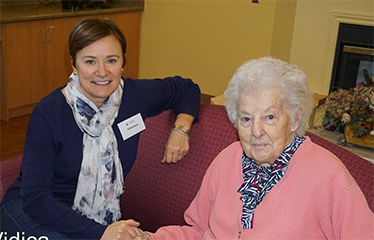 Wyndham Manor Seniors Program: May Court volunteers spend time with Wyndham Manor residents with activities such as reading, playing board games or simply having a conversation. Food 4 Kids: After our round table discussions on nutrition programs in schools, May Court learned that the fabulous Food 4 Kids program was looking for help. 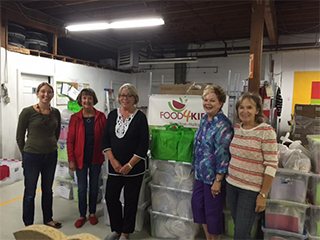 So now, May Court volunteers spend time helping them pack up nutritious food & produce that gets delivered to children who struggle to be fed over the weekend. Every Friday targeted students are given a bag filled with enough food to help feed the family over the weekend. May Court also continues to financially support this program as well. If you are interested in supporting any of our programs through sponsorship or donation, please contact our (Sponsorship Director) and let’s start a discussion! Thank you!